Automation is everywhere in the supply chain now (think: driverless deliveries or robots picking and packing in the warehouse) and you've likely seen the improvements in your supply chain. So why isn't your inventory management similarly automated? 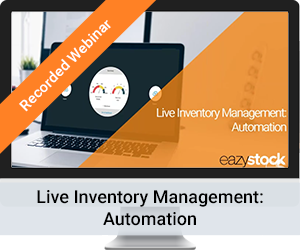 There are a whole host of excuses to not automate your inventory management, but inventory management automation results in better efficiency, increased accuracy, improved scalability, more time for employees, and more money in your pocket.